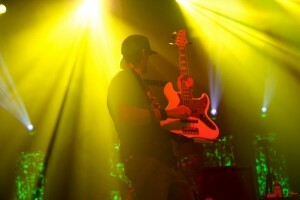 I assume that most readers of this website understand the paucity of language to describe the abstract expression of instrumental music. We can attempt to put labels like mellow, upbeat, or funky on it, but in the end, there’s no complete way to download these sounds into verbal language. 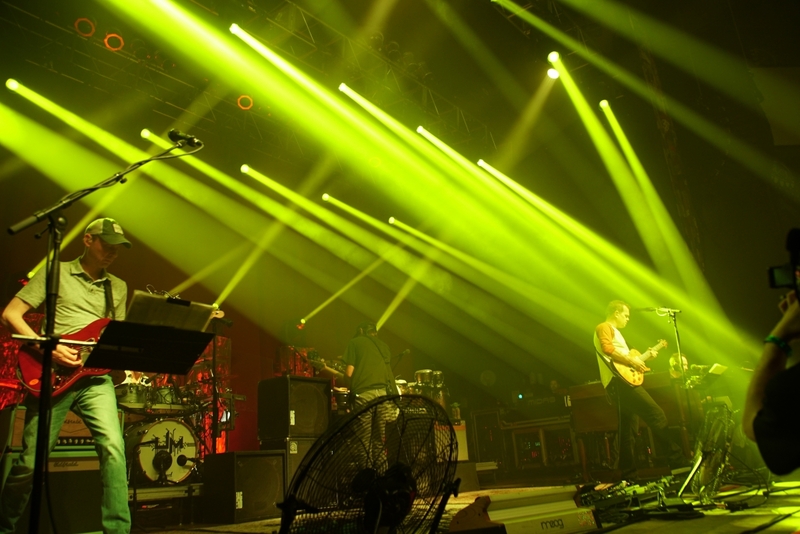 The best description we can give is simply a command to go listen to it yourself. 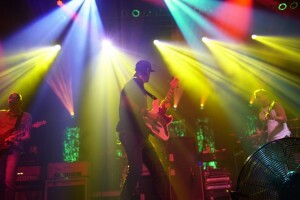 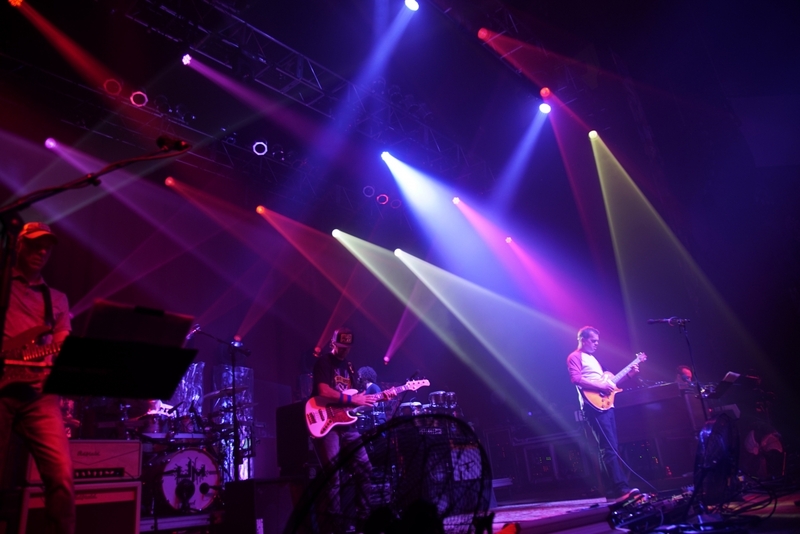 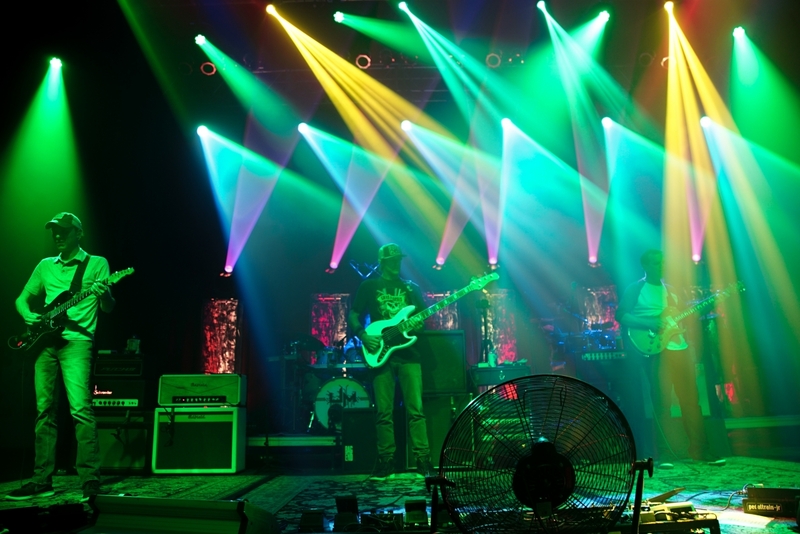 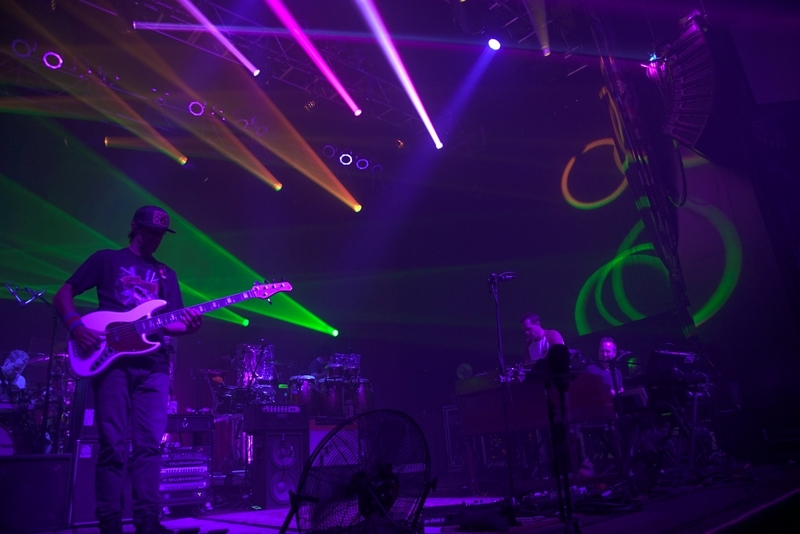 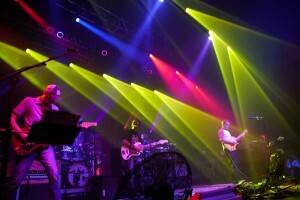 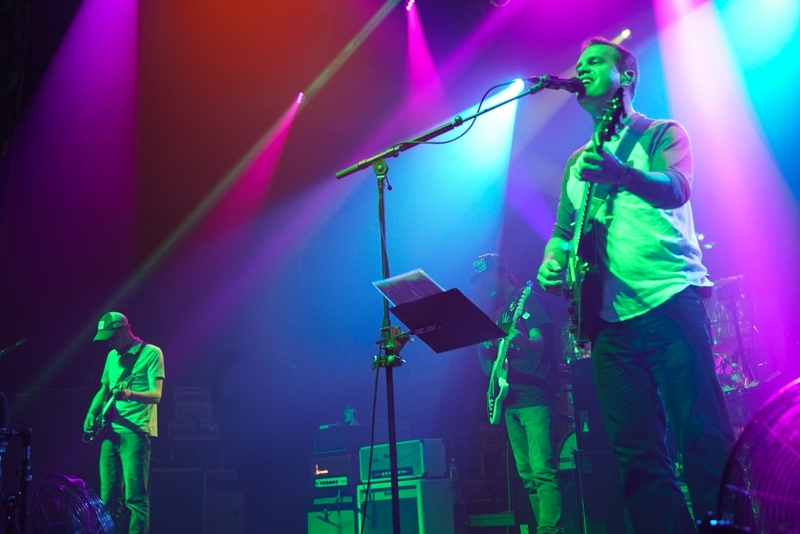 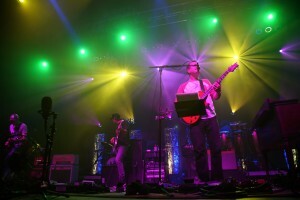 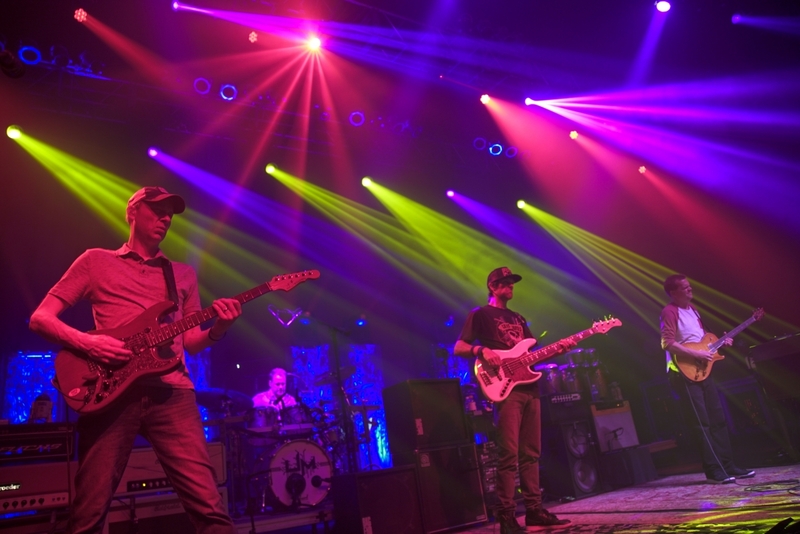 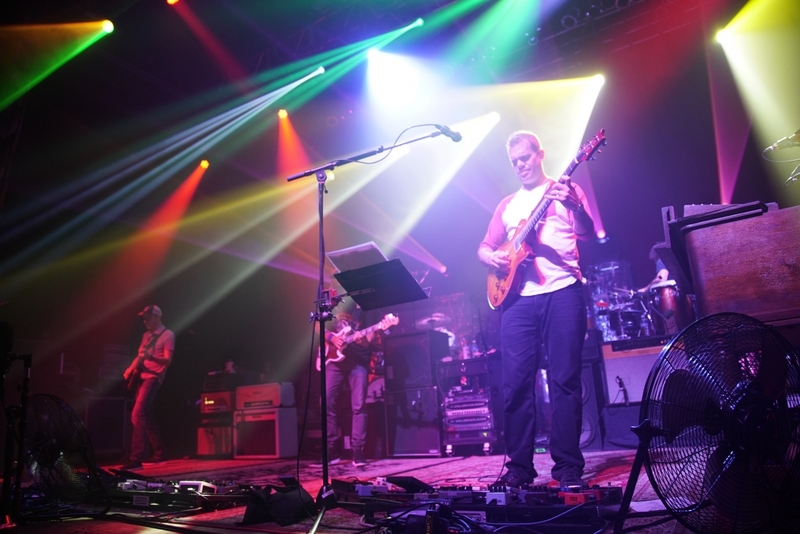 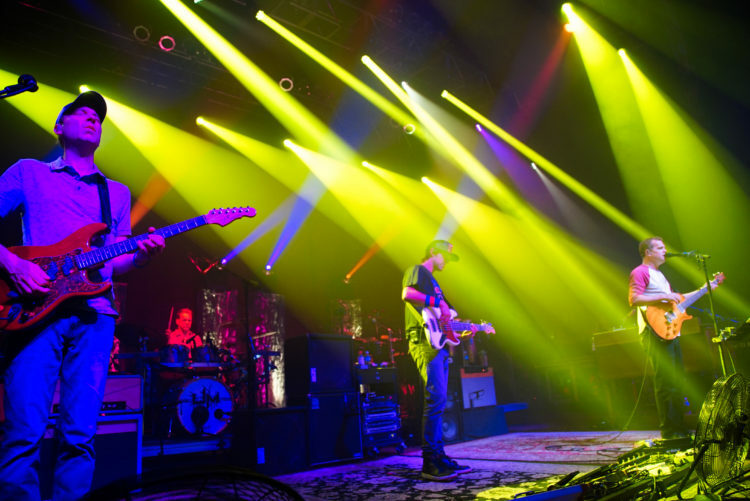 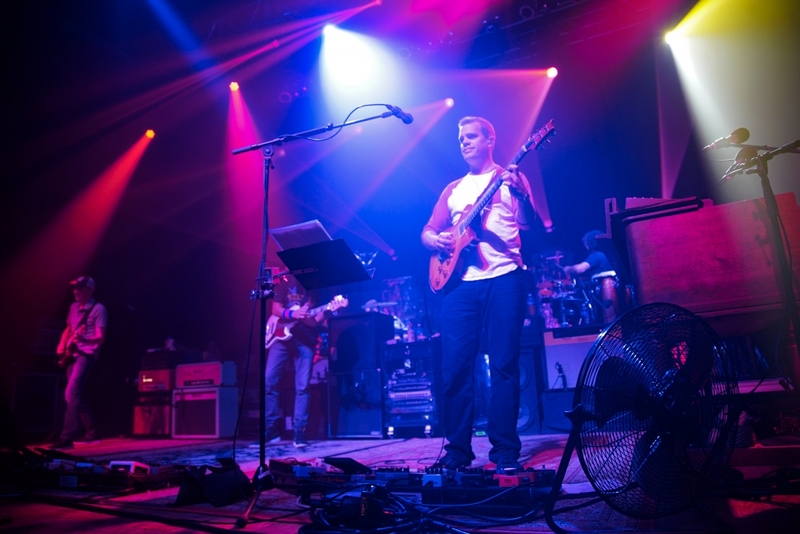 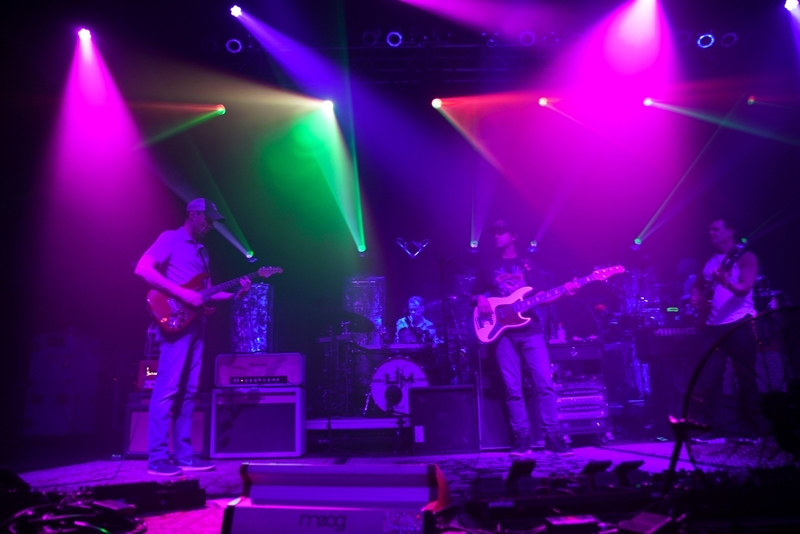 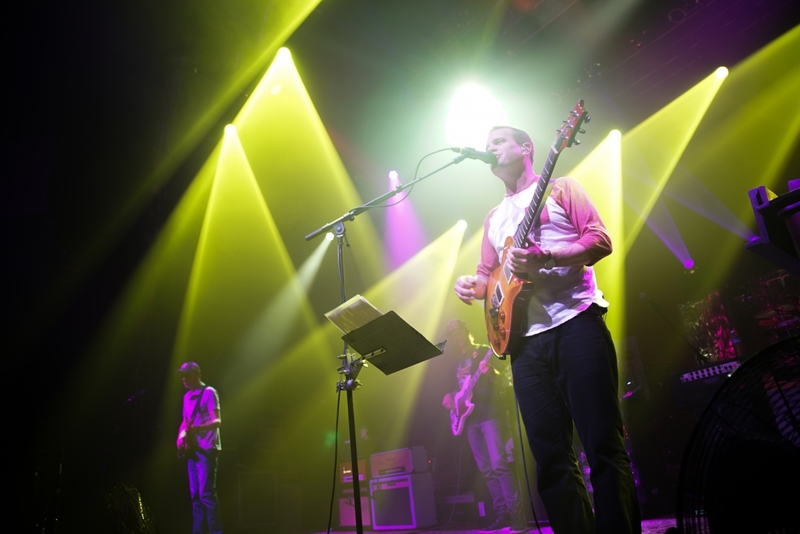 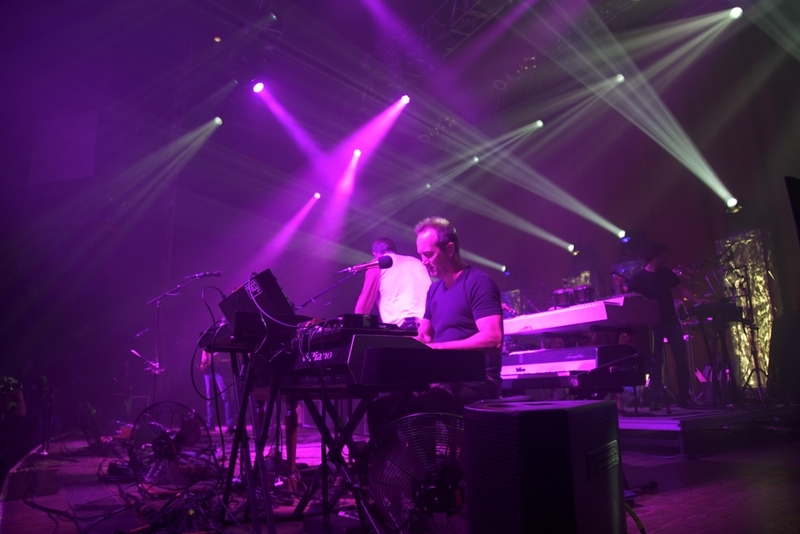 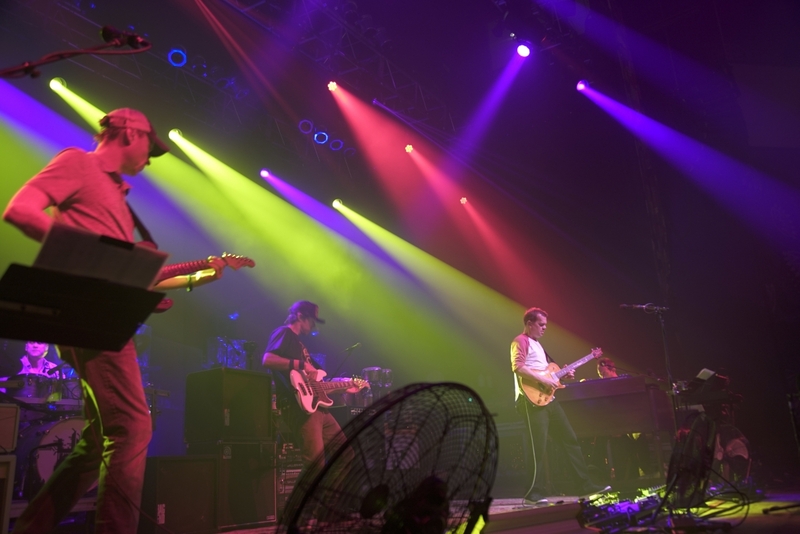 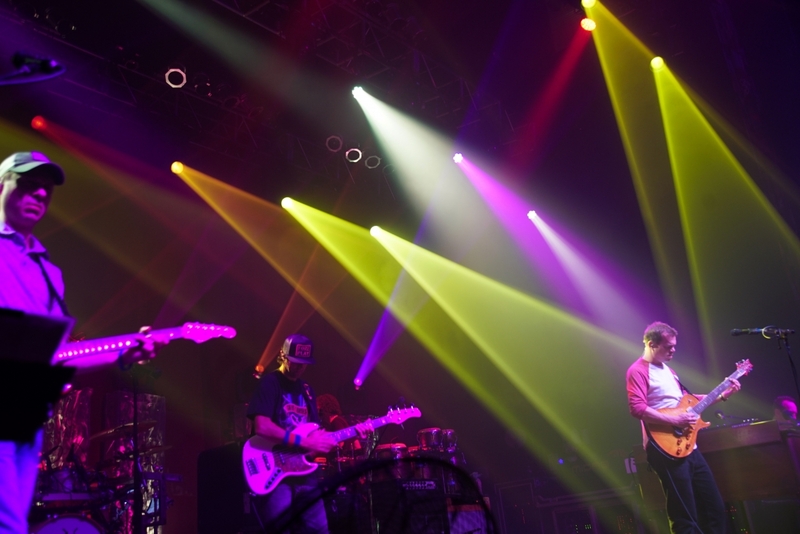 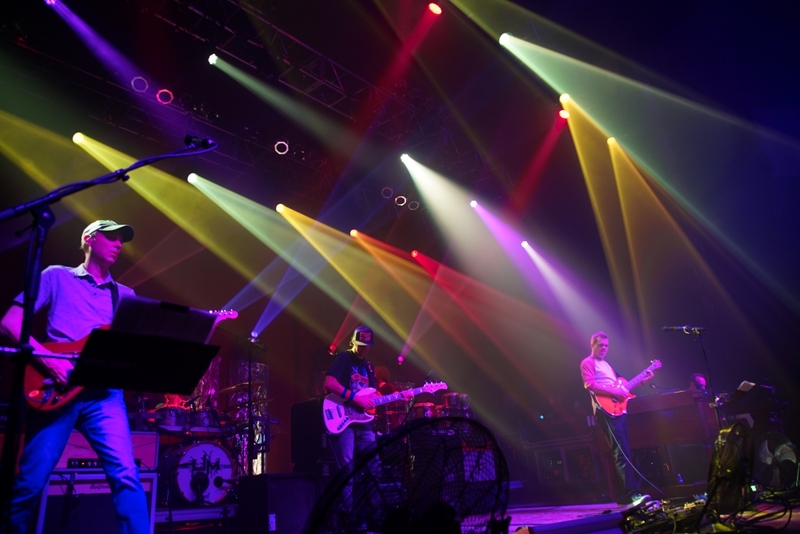 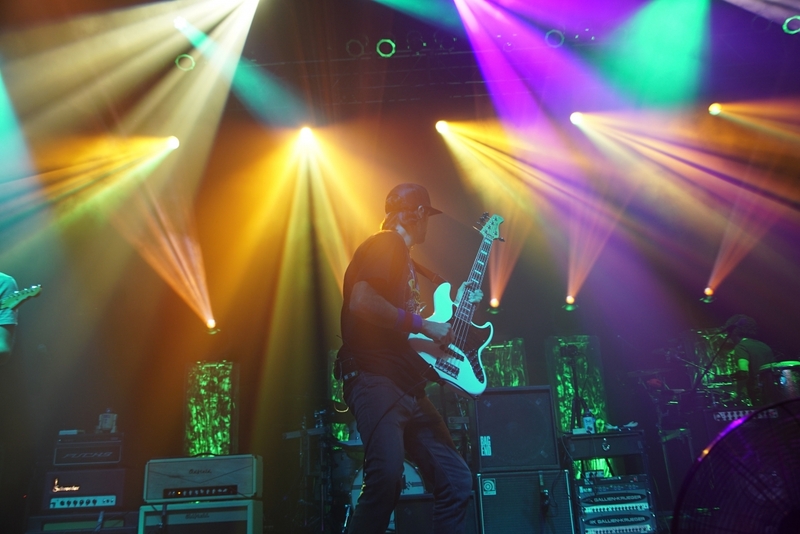 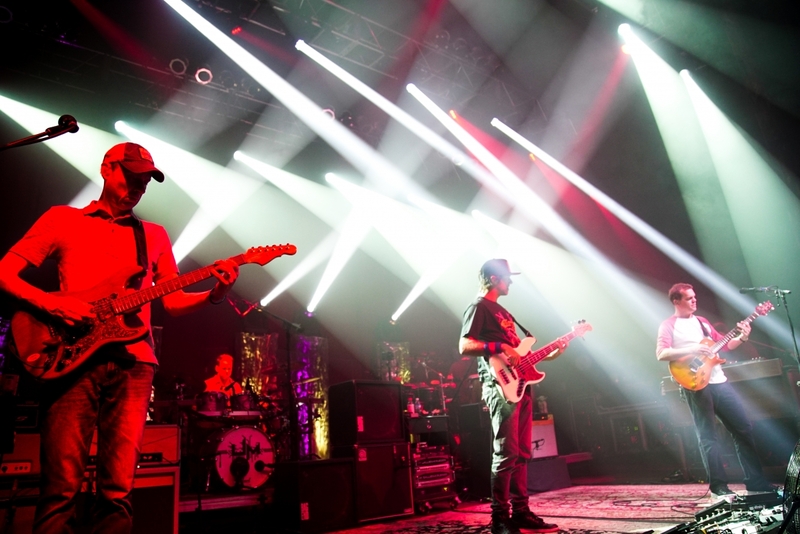 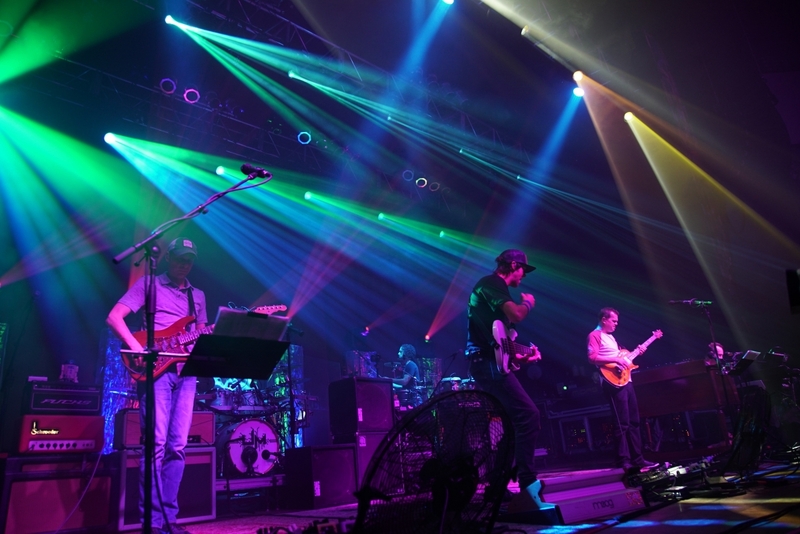 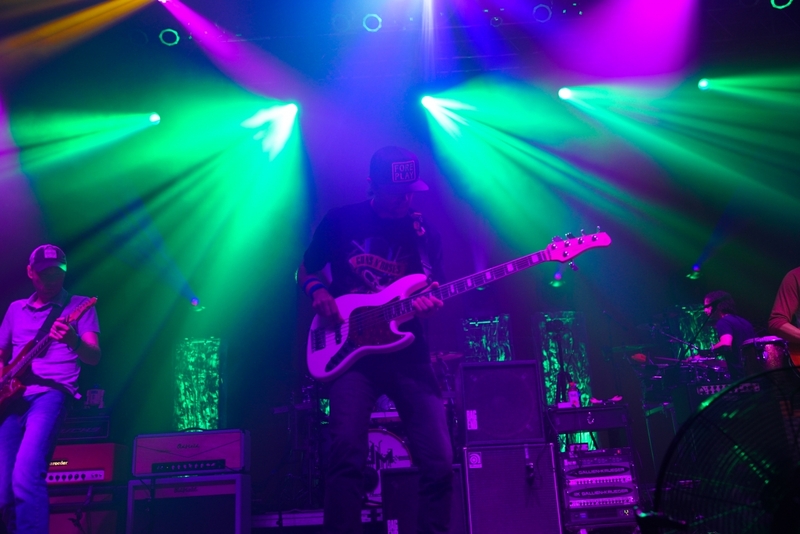 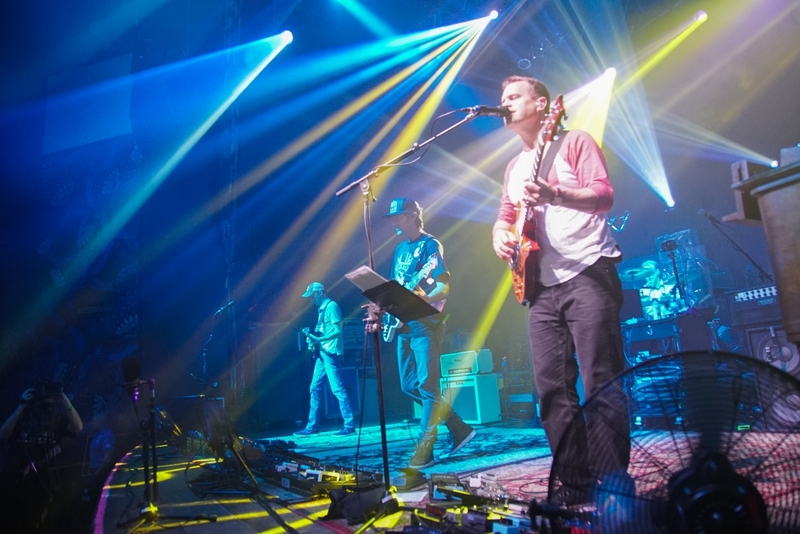 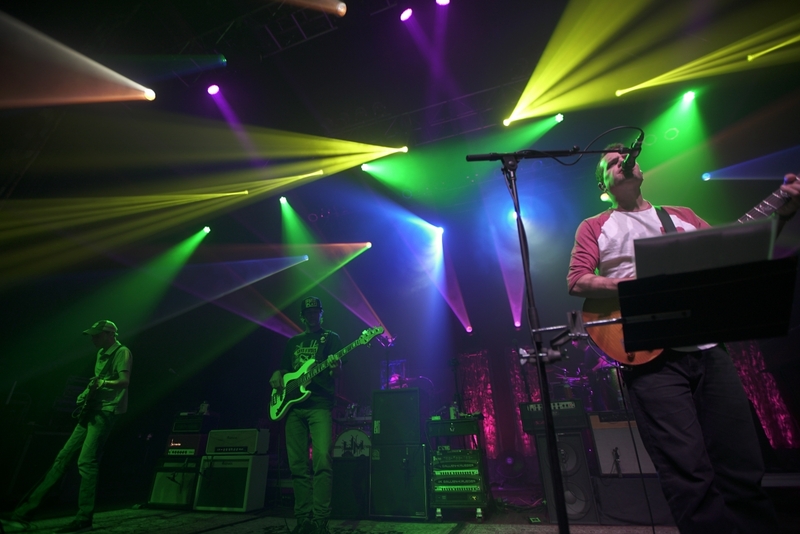 There are not enough words in the English language to describe an Umphrey’s McGee concert, but I’ll attempt to throw some adjectives around in hopes that it might compel you to go truly experience their music firsthand someday. We arrived at the House of Blues after the opening act, Montu, unfortunately, but our lateness was not without just cause (Photographer Ben Mohler was filming a video about an Air Force cadet returning to Highland Park to take a disabled girl to prom). However, some folks we met in the crowd described them as “pretty good.” Mohler and I were joined this time by two friends, one who listens to more electronic/jazz music and one who listens to more classic rock, both of whom were blown away by the concert – showing just how versatile and widely-appealing Umphrey’s McGee really is. 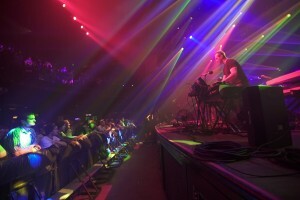 What followed was a three-hour stream of funky jamming interlaced with brief periods of vocalization, mesmerizing and enchanting the large, heterogenous crowd. 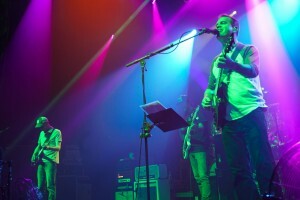 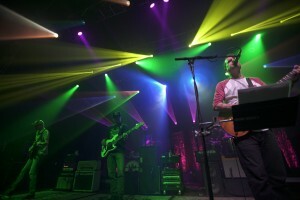 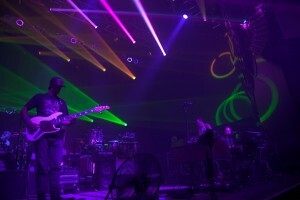 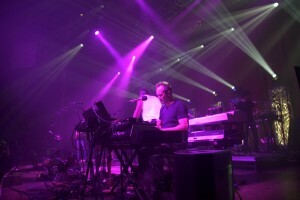 Highlights of the show for me included a transformative cover of “Time” by Pink Floyd that got the entire crowd to sing along, a fantastic rendition of my favorite Umphrey’s McGee song “In the Kitchen” at the end of the second set, and an interesting chat we had with two gray-haired Phish heads during the intermission. 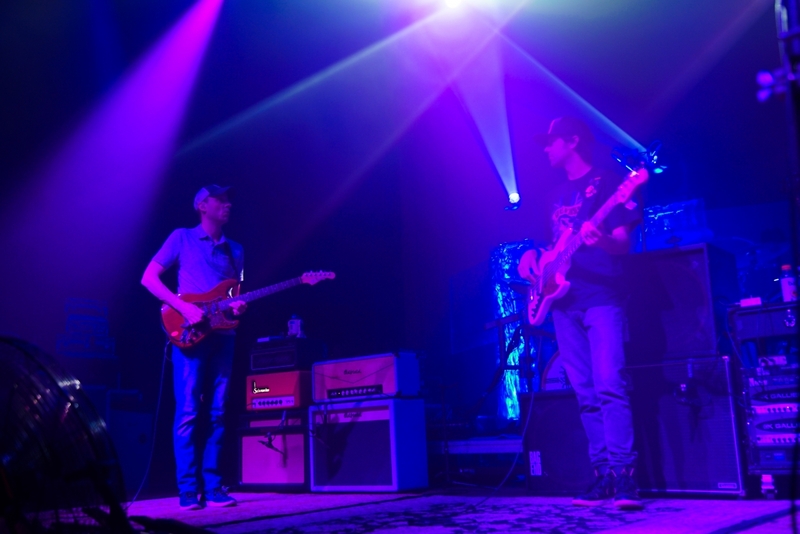 Any band that exudes positivity and great live music is bound to have interesting characters at their concerts, and we certainly met a few of them, including this pair. One of them said that he’s been to dozens of Umphrey’s McGee shows and each one was different and incredible in its own way. Overall, the show was absolutely amazing and everything that is good about live music. If you enjoy jam bands, I firmly recommend you put these guys on your radar.